After not getting any updates or news about the game, a new trailer sheds some light about the game. 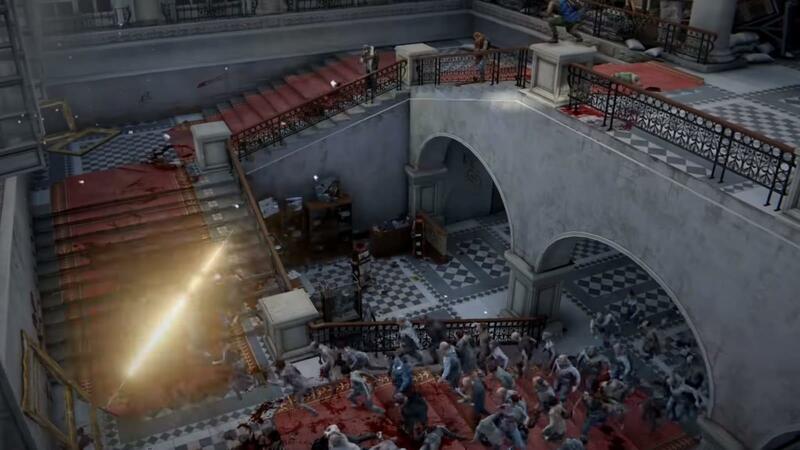 The new trailer showcases Moscow, destroyed and overrun by zombies. Of course, you have to kill them all to survive. One of the more notable things is just how many zombies are there. Hundreds and hundreds of them hurting towards you and your team. It deferentially won't be easy to play, nor to run, since it will most likely take a lot of processing horsepower to keep the frames going on higher settings. Although, if you will get the game on your Xbox or PlayStation, you should't worry about that. While the clip is short, only one minutes, it does reveal a lot. First, of course, there's Moscow, but you'll be able to go to other places, too. Then there's the sheer number of zombies just moving towards you.Also, it looks like some zombies have some kind of police or SWAT armor, so that'll be fun. Remember Zombines from Half Life 2? Then there is the combat. It seems you'll have a lot of to choose from, anything from a good ol' melee sword, to a turret, to an assault gun. The game will be released soon, on Steam, Xbox and PlayStation.